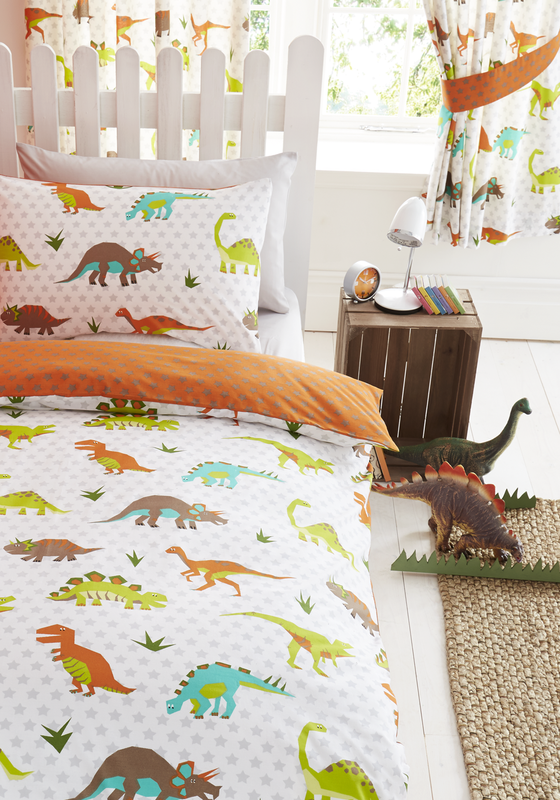 Give his window space a dinosaur theme with a pair of these readymade curtains from Kids Club. These curtains come with tape tops, fully lined and include matching tiebacks. 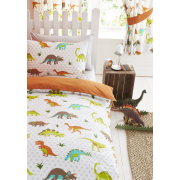 The curtains have a design of different coloured prehistoric dinosaurs on a white base.